While I was at University College Dublin I stumbled into something called Bitcoin and blockchain. It sounded strange and slightly whacky to me and I almost ignored it. Something made me persist and so by the time I arrived in Brisbane I knew a little more. And here I stumbled a bit more into a community that talked blockchain. There were developers (mostly unintelligible), lawyers, and entrepreneurs. I've come some way since then. I give talks on blockchain. I sit on the advisory boards of a number of blockchain startups, and recently I co-organised a conference on blockchain. Recently I was part of a seminar that discussed blockchain with Australia's financial regulators at UNSW in Sydney. The paper below started life at that seminar. It comes out of a project I and collaborators are doing on Initial Coin Offerings (ICO). These took off in a huge way in 2017, raising several billions of dollars in funding. Regulators panicked as in China which forbade them. New Zealand said all cryptocurrencies were securities (I wish someone could explain that one...). Our project has been creating a database of ICOs and we have over a thousand in it. We aim to analyse them quantitatively and qualitatively, and that will be the subject of our next paper. "Blockchain--distributed ledger technology--is seen as heralding what some call the internet of trust because it provides an immutable chain of authority that is difficult to hack. Satoshi Nakamoto created an algorithm that required immense amounts of computing power to solve cryptographic problems that when resolved would create consensus throughout the blockchain community by rewarding miners with Bitcoin and prevent the "double-spend" problem. Trust, in either one's opposite party or intermediaries would be unnecessary. The cryptographic work made trust redundant. Unfortunately, Satoshi could not predict how the blockchain community would behave once the software was launched into the community. Trust became the core issue as different factions among developers and miners squabbled over changes to the software. Trust is also deeply implicated in the ways the community uses blockchain to raise money to fund developments through initial coin offerings (ICO). 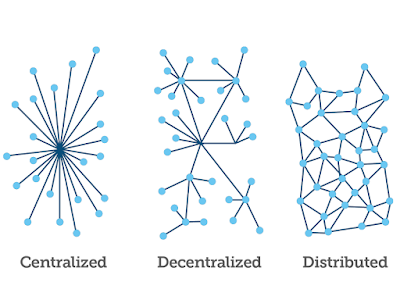 In this paper we trace how this these issues emerged in blockchain's short history. We use arguments over block sizes, transaction fees, and hard forks, and the process by which ICOs are run to exemplify our account. 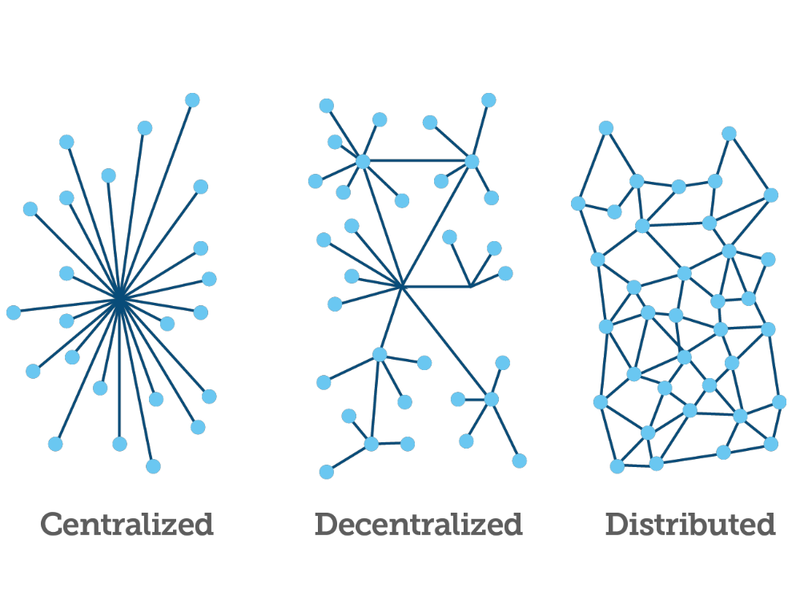 We contextualise our story by examining the history of blockchain. Blockchain seems so recent that it doesn't really have a history, but in fact it has a long history stretching back to the Austrian School of Economics. We argue that blockchain can trace its philosophical roots to the anarchy-capitalist strain of the Austrian school. Anarcho-capitalists believe in peer to peer contractual transactions as the foundation for society, They abhor collective action even that which includes the defence of the realm. Dyadic collaborations are sufficient for a society to survive by. Theorists such as Murray Rothbard and Leland Yeager promoted these views in the second half of the 20th century. Satoshi's paper was published in the Great Recession (2008) and incorporated this philosophy. As the blockchain community has developed distributed ledger technology these basic philosophical tensions have surfaced causing dissension and strife. It has all come down to a fundamental issue: who do you trust?"